1) Cut a large round disk from white construction foam. 2) Add the letters N,S,E,W in the correct locations. 3) Use a wide permanent marker to draw short lines like minutes on a clock. 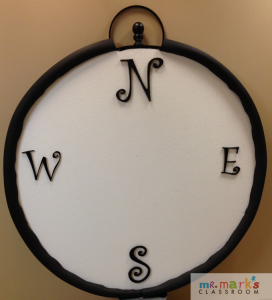 4) Use a logo poster or other designs to be added to the face of the compass as you desire. 5) Add a single arrow to the compass pointing toward a direction without covering your design too much. 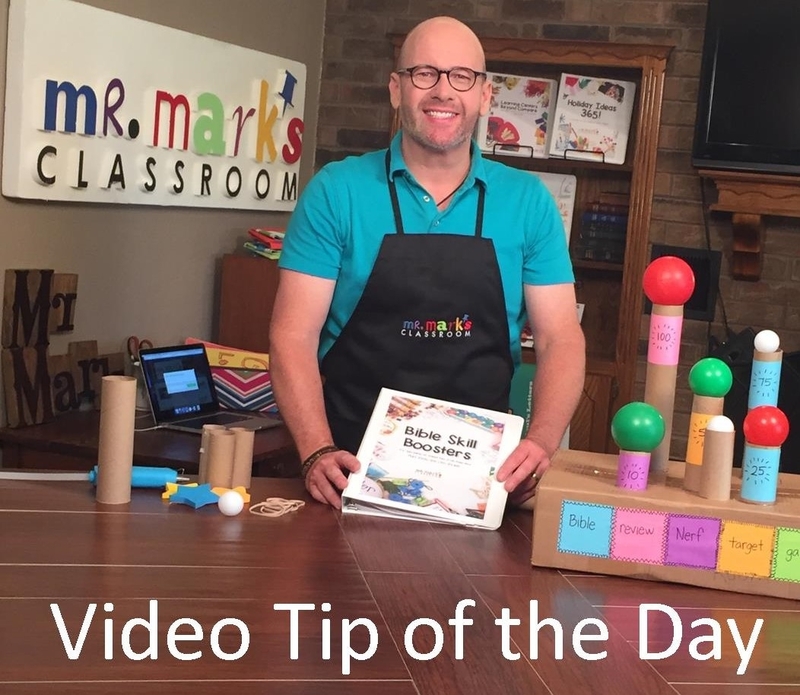 6) Add black poster board strips cut slightly wider than the compass width so when it is attached around the edge, it rises a bit higher to frame the compass. 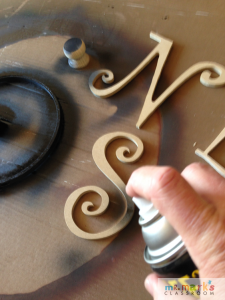 7) A knob and ring can be added to the top (above “N”) if desired. 8) The ring can be made from painting an embroidery hoop and the knob can be a painted wooden finial or Styrofoam ball.